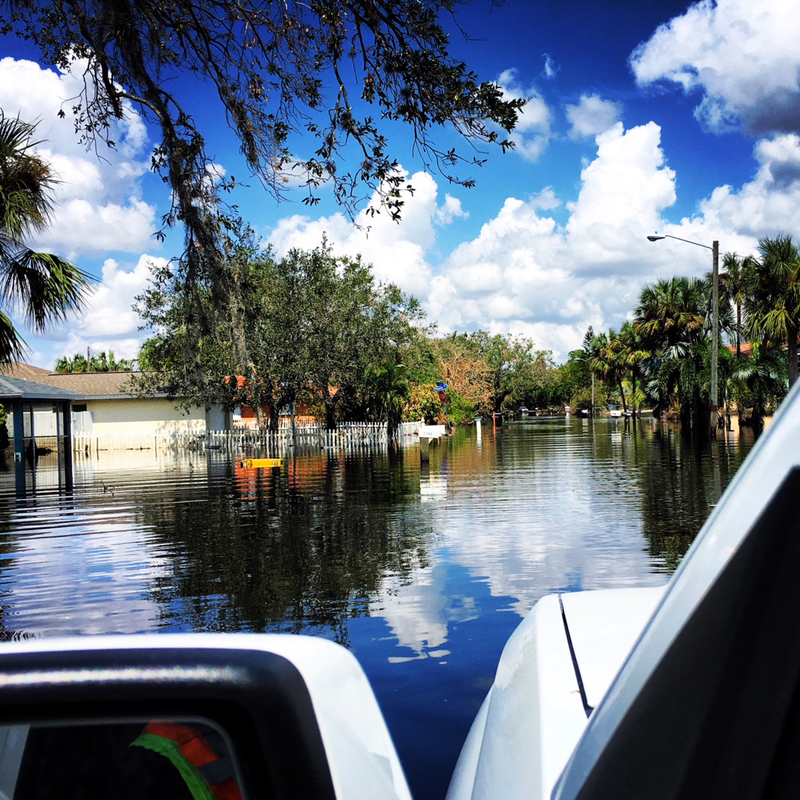 MACOMB, IL – As hundreds of thousands of Floridians fled the approaching wrath of Hurricane Irma last month, a Western Illinois University (WIU) alumnus was racing to the state to help with the aftermath. Brian Sprinkle, of Industry, IL, is a 2012 graduate of WIU's agriculture program, where he concentrated on urban forestry. He has been a utility vegetation management consultant with CN Utility Consulting (CNUC) since 2015, managing short term projects around the U.S. Sprinkle is a member of CNUC‘s Emergency Response Team and responds to natural disasters across the United States to assist utility companies with their restoration process. Sprinkle arrived in Fort Lauderdale, FL, Sept. 8, three days before Irma touched down, and he rode out the storm in a hotel room. "I was outside the hotel on the opposite side of the wind, watching trees bending and power lines arcing, when a part of an air conditioning unit fell off a roof and hit a car nearby," said Sprinkle. "That's when I decided it was time to go back inside. I have experienced heavy Midwest winds in a short storm, but never imagined the hurricane's wind sustaining the same level for seven hours." The longest portion of Sprinkle's three days in the hotel was spent without power, making accommodations uncomfortable. Sprinkle shared the hardships that many Floridians were experiencing themselves, with temperatures in the 90s and air-conditioning units at a standstill. 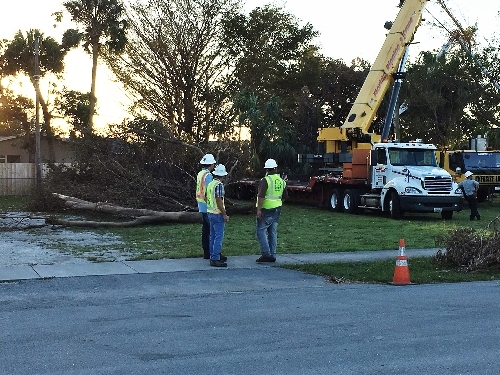 After the storm passed, Sprinkle and the CNUC team helped orchestrate the task of removing downed trees and other vegetation from power lines. "These storms cause trees to interfere with the utility infrastructure, resulting in power outages," said Sprinkle. "We manage the vegetation around the utility infrastructure, which includes clearing the lines before the linemen and engineers arrived. This expedited the rebuilding process and allows them to restore power quicker." Sprinkle spent a total of two weeks in Florida. 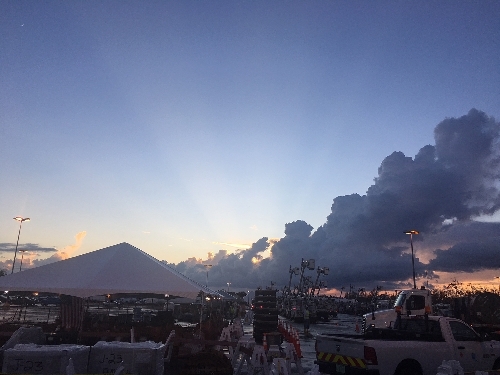 The restoration process started with Sprinkle helping manage nearly 250 people from various companies around the country, and those resources quickly grew to 500. Sprinkle later traveled to Bonita Springs, FL, where his team increased to about 1,000 people. During Sprinkle's tenure with CNUC, he has responded to other natural disasters, such as Hurricane Matthew and wildfires in California. He said his time at WIU helped him develop the skills needed to face the various projects he manages in his career. "I attribute everything I have today to WIU," he said. "My education provided me with the foundation that has been vital to my success." CNUC is a highly-experienced consulting and operations team with an unparalleled understanding of utility vegetation management (UVM) industry best management practices, and legal and regulatory requirements. CNUC assists utilities in improving their UVM programs through inspection and auditing services, emergency response, consulting, and research, often combined with software and LiDAR solutions. CNUC also goes beyond operations by providing the largest and most comprehensive UVM benchmarking service in North America. For more information about CNUC, visit cnutility.com. For more information about WIU's School of Agriculture, visit wiu.edu/agriculture.